The Exchange at Wheaton Station is an integral component to the ongoing urban revitalization in this suburb of Washington, DC. 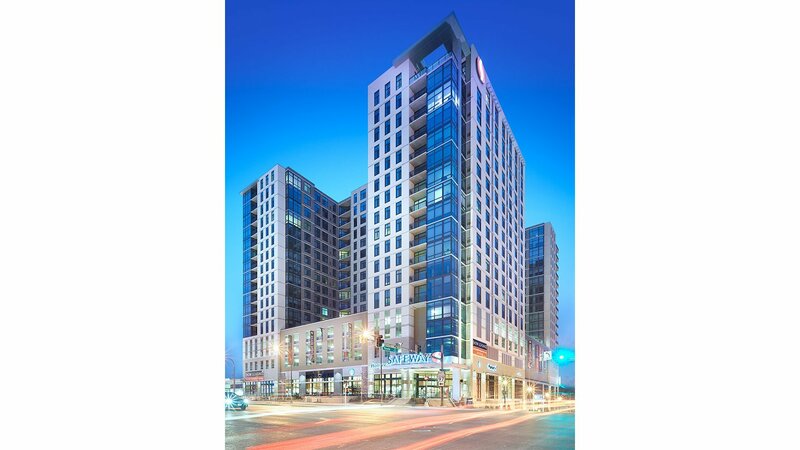 The market rate apartments rest atop a vibrant retail component including a modern Safeway grocery store. The site is adjacent to the Wheaton Metro station as well as to another mixed-use housing project. This exciting development builds on the vision of Wheaton crafted by the community and planners: a vital, mixed-use, walkable, urban neighborhood. Originally, the site had an existing Safeway grocery store built in the late 1950’s that was too small for this growing community. The old store’s parking lot was on Georgia Avenue, wasting valuable street front space. 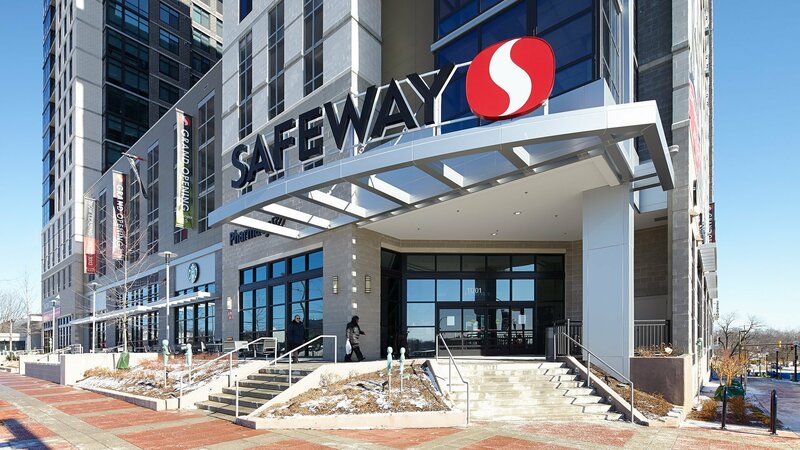 Working with Safeway and the co-developers, and taking advantage of the mixed-use overlay zoning, Hord Coplan Macht planned the site to include a new, larger Safeway store that fronts Georgia Avenue and includes all required parking on this compact parcel.